Siphoning is the third skill line of the Nightblade class. All skills of this path are aimed to weaken the target with debuffs. All skills have a mutual effect – Nightblade receives a part of enemies’ health, magicka, stamina, damage and so on depending on the skill. This path is perfect for those who prefer to weaken enemies and receive bonuses for that. Many of the spells have DoT (Damage over Time) effects and affect the target for a period of time. Soul Shred - an Ultimate Ability that deals damage and stuns nearby foes. Allies may activate Leaching Strike synergy – heavy attack with life leaching effect. Strife – basic DoT spell that heals Nightblade and damages the target. Agony – stunning spell with DoT effect. Can be interrupted by any other incoming damage. Cripple – DoT spell that siphons movement speed. Your enemy becomes slow, you become faster. Siphoning Strikes – decreasing your basic damage but restores Magicka and Stamina with every hit. Drain Power – decrease the attack power of nearby foes. Nightblade receives portion of that power. The more enemies are affected – the better. As you can see almost all skills affect the target for a period of time and give different bonuses to Nightblade. The school can help you in different situations. For example, you can use Cripple to escape from an enemy or to catch escaping target. Agony can help your group to put one enemy out of action and concentrate damage on the remaining targets. Some spells of Siphoning skill path are great to use with a ranged weapon because they allow to keep distance and they give additional control. 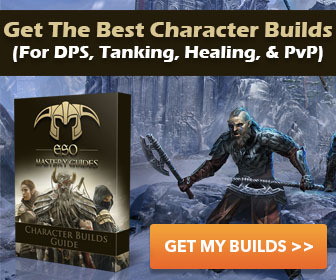 You can create your own build combining Assassination, Shadow and Siphoning skills. Increases Magicka pool when you have at least 1 Siphoning ability slotted on your current hotbar.